“There’s a road sign at the end of my village street marked Strelitz which I always thought was a striking name for a small Perthshire wood – and with a very interesting history,” explains Janice, who lives in the village of Burrelton. 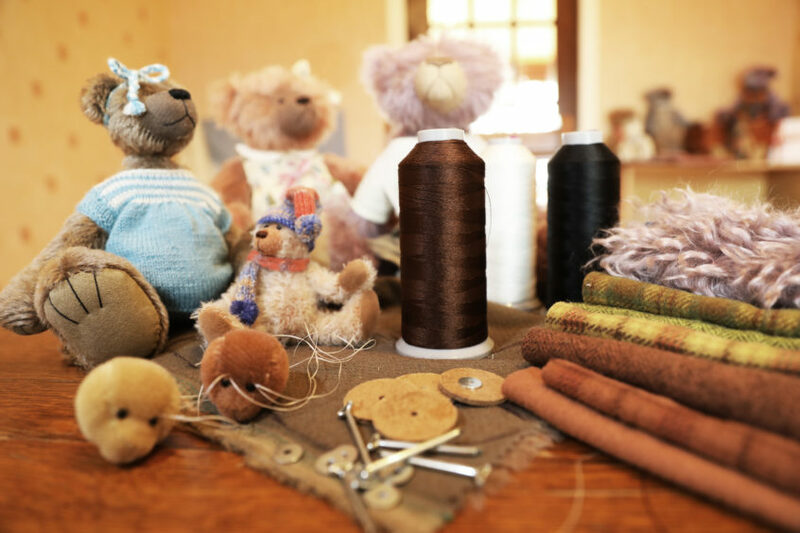 Although Janice didn’t have any teddies when she was young, she was always interested in crafts and, after seeing a friend’s collector’s bear she was hooked. “Perhaps I was a secret arctophile in waiting,” she smiles. 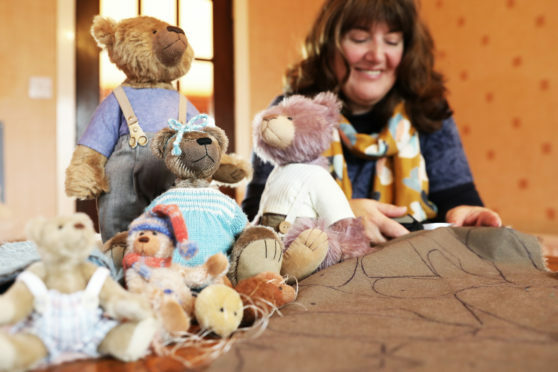 Plunging into the magic of bear artistry, Janice bought books and materials and taught herself from scratch how to design her own patterns. “Both my son and daughter still proudly cherish my first dubious attempts,” she reveals. 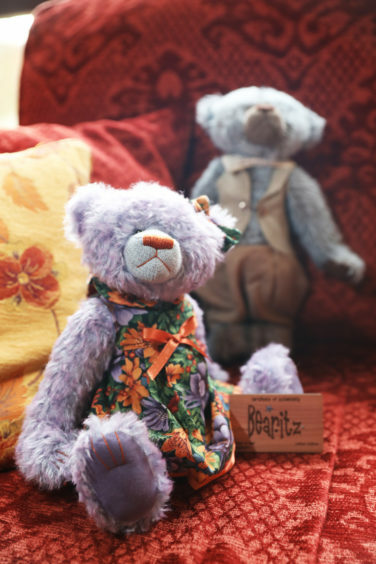 Designing bears for toy manufacturer Deans gave her the confidence to start her own label and register Bearitz as a trademark. 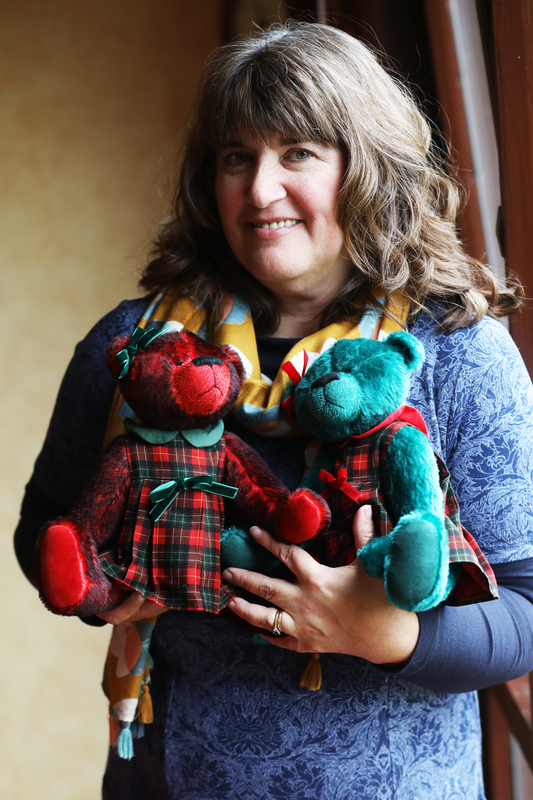 “I was lucky when I first started that Hamleys in London stocked my bears – I gradually gained a following and have won a few awards over the years,” she says modestly. Sometimes using the surrounding countryside, changing seasons and wildlife as inspiration, she carries two notebooks around, one to jot down ideas and the other to note down names she comes across that would be perfect for a bear – ones like Lachlan, Mathe (the Gaelic for bear), Peppercorn and Nacho. “I name them all apart from the bespoke commissions where I invite my customers to choose their own name,” she says. Using mohair, she marks out the pattern on the reverse side of the material and carefully cuts out each piece. 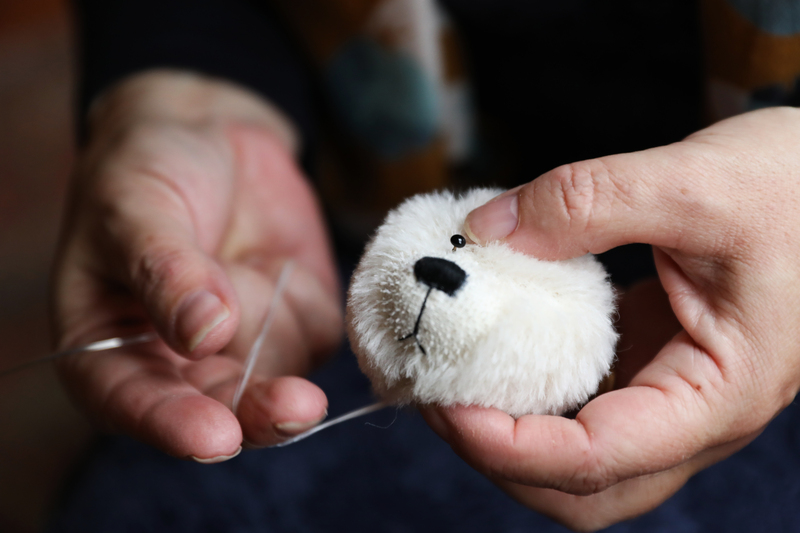 “Then I trim the seam lines, tack, and sew the pieces together before attaching the paw pads, turning it right side out and stuffing, bringing the bear to life,” she explains. “Then I insert the traditional cardboard cotter pin joints for movement. The nose is hand embroidered and glass eyes inserted, before finally attaching the ears. Ranging in size from 7cm up to 45cm in height, the bears are purchased by collectors all over the world. 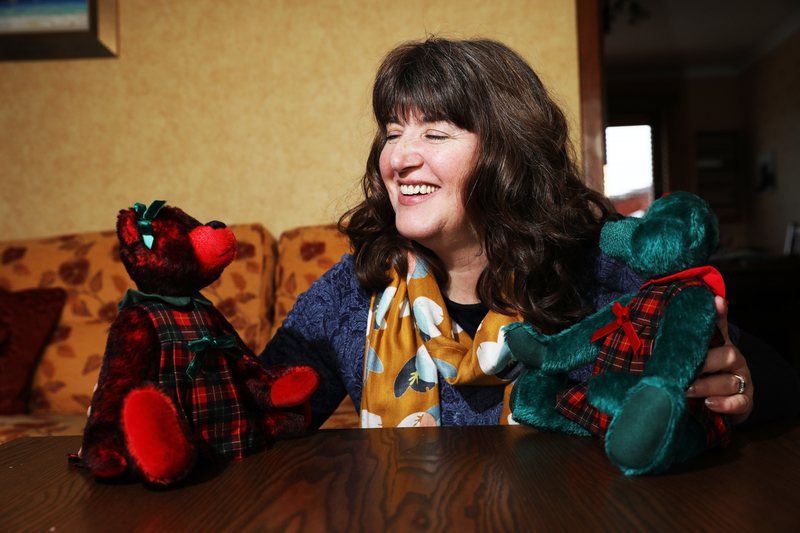 With Christmas round the corner Janice has added a few seasonal touches to some of her creations and launched a new collection of creamy polar bears, with a double neck joint, allowing them to be displayed in a variety of poses. 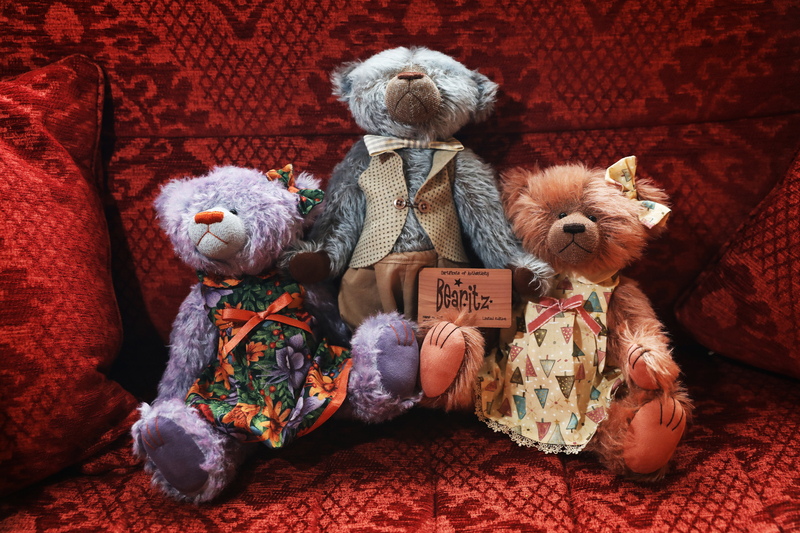 “A teddy bear evokes all kind of emotions – comfort, love and loss and have an enduring quality that appeals to everyone, no matter their age,” she reflects.